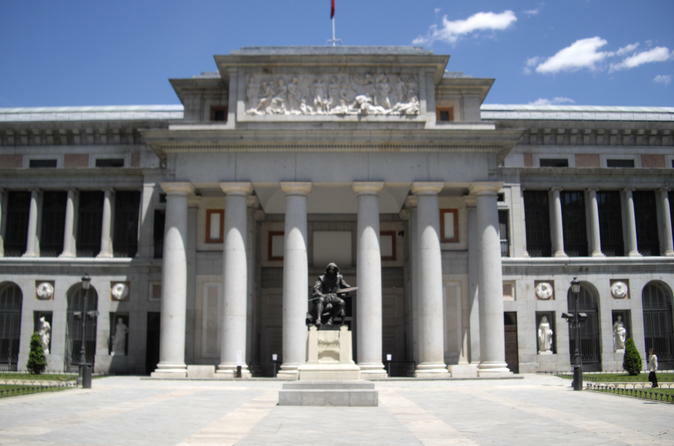 Enjoy a 3-hour tour with a private guide to your chosen Madrid museum from the following list: Prado Museum, Thyssen-Bornemisza or the Reina Sofía Museum. Itinerary is customized upon customer request. Choose from three different museums: Prado Museum, Thyssen-Bornemisza or the Reina Sofía Museum. Once you have chosen your museum, itinerary is customized according to your needs. Notify supplier of museum choice upon booking. You will meet your private tour guide in front of the museum and begin your 3-hour museum tour. Discover masterpieces of art at Madrid’s Prado Museum and see works by Velázquez, Goya, El Greco and many more. Covering the full range of Spanish art, the collection includes 7,600 paintings and 1,000 sculptures. The Thyssen-Bornemisza museum offers 1000 works of art and covers genres from medieval and Gothic to experimental avant-garde, including impressionism and cubism. Your guide will take you through the art works and since this is a private tour, it can be accommodated to your interests, which will then be paid special attention. You can admire works from the likes of Canaletto, Cezanne, Dalí, Kandisky, Matisse, Monet, Picasso, Rembrandt, Rubens and Van Gogh. The last option to choose from is the Reina Sofia Museum, located in an old hospital building, so some of your tour will be focused on the building itself and its history. You will see works from the likes of Juan Gris, Joan Miró, Picasso, Dalí, Julio Gonzalez, Antoni Tàpies, Francis Bacon, Georges Braque and many more.